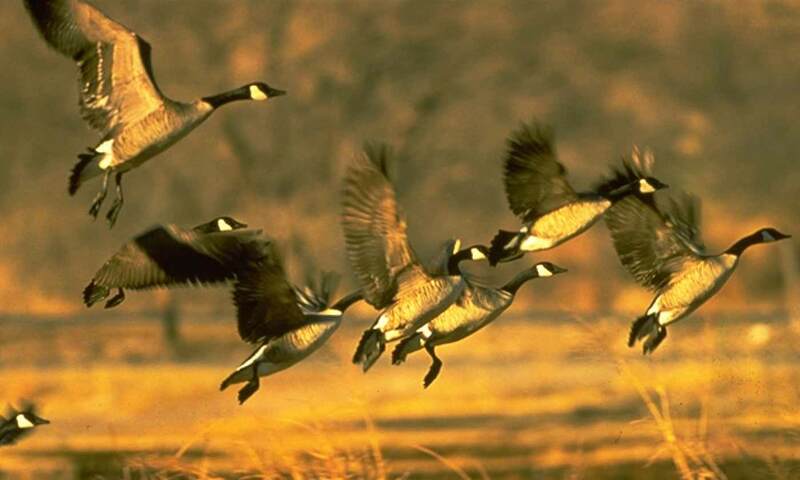 View Goose hunting regulations for your county. No daily bag or possession limits. The use of electronic calls is legal. Unplugged shotguns holding more than 3 shells are legal. Shooting hours will be one-half hour before sunrise until one half-hour after sunset. The take of any other species of migratory game birds during the conservation order is unlawful. Wingspan: 3 to 4 feet. Flocks of 20 to hundreds. One-half hour before sunrise to sunset except during the Light Goose Conservation Order.